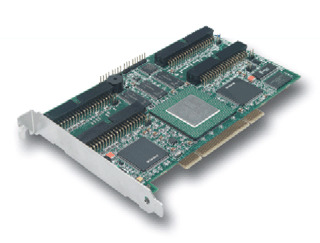 Built around proven SCSI MegaRAID technology, the MegaRAID i4, is a half-size, four-channel IDE RAID adapter. With support for all major OSs and RAID levels 0, 1, 5 and more, the adapter is positioned to be the industry’s premier high performance, low-cost RAID solution. The i4 provides a uniform look and feel for SCSI and IDE storage management.